Airtight Insulation offers insulation for residences and commercial businesses and buildings. 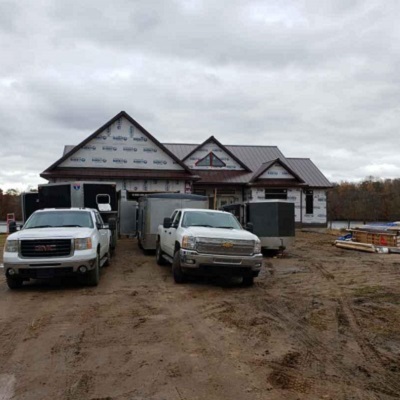 We offer professional insulation services for residential and commercial applications in Michigan, Ohio, Indiana and Illinois. With all performed installation and services, we offer you, our customer, your satisfaction is guaranteed. You can count on us for y our cellulose insulation needs and more! We here at Airtight Insulation know you have questions about our cellulose insulation. We hope the information we provide you will answer all your questions. However, we will be happy to answer all your questions if you give us a call today, or during your estimate. Cellulose insulation offers superior performance and is great for residential buildings, walls or attics. Other considerations of cellulose insulation overall performance is how well the initial building structure is sealed from air invasion. Cellulose insulation works well in fitting around pipes and wiring, with hardly any air pockets left to reduce the thermal efficiency of the wall structure. The use of dense cellulose insulation can provide needed density to curtail convection in the wall structure. In structures using cellulose insulation, the use of this insulation results in a decreased amount of energy required to heat than using fiberglass insulation in the same size structure. Also cellulose insulation provides an increase in the stiffness and rigidness of the structure over fiberglass insulation used in the same size structure. Cellulose insulation can offer homeowners savings on their utility bills. It is made with 80% post-consumer recycled newspaper and if more houses used it, could really help reduce waste in the environment. This type insulation offers superior control against fire, mold, even in damp or extremely wet conditions. Cellulose Insulation has been found because of the use of non-toxic borates in the manufacture of cellulose insulation that it has found to be very useful in the control of pest and insects within the structure. We here at Airtight Insulation look forward to assisting you with your cellulose insulation needs. In addition to insulation services we offer superior metal roofs. Our metal roofs have excellent strength and are fire resistant. Estimates for our metal roofs are available from our roofing expert. 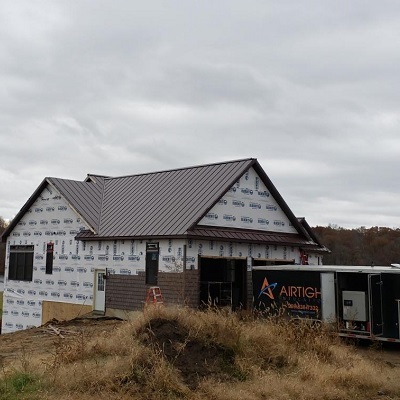 We here at Airtight Insulation strive to provide a very tight envelope surrounding the home or building for the most energy efficient structure that our expertise staff can provide. We assure our customers their structures will be some of the most energy efficient, and because of our insulation improvements could have lower utility bills. Your home or building will be more comfortable, higher air quality, and your structure will be stronger and more stable with our cellulose insulation. We are happy to offer a free estimate to our customers for their cellulose insulation project. This visit also gives you, our customer to answer all your questions. We aim to put your mind at ease, offering you the best quality service for cellulose insulation from Airtight Insulation.